I adore travelling, moving between different places, discovering new landscapes, smells, flavours, and sharing my life with people out there. Music is a wonderful universe in this respect. But teaching is even more so; making commonly available what you know and what you do, in spaces and through whatever means circumstances allow. Since 1991, my classes and courses are fuelled by the desire to fill the space that, far too often, appears between musical practice and musicological research. And I don’t at all mind getting on a train or a plane, every day if it’s necessary; each meeting is important, and each journey is a fresh joy. This is why you will currently find me in one of a number of very different places: regularly in Barcelona (in the Musicology Department of the Escola Superior de Música de Catalunya), in Madrid (on the Master’s Degree course at the Reina Sofia School of Music), and in Aveiro (on the PhD programme at the Universidade de Aveiro, Departmento de Comunicação e Artes, and the INET-md Research Institute). 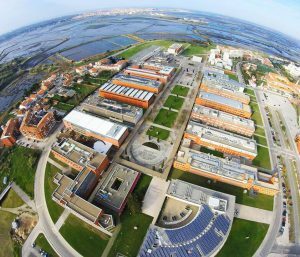 The University of Aveiro is my main centre for PhD studies; the majority of theses I direct are registered here, and it is where you can carry out pre-and-post-doctoral residencies. Meanwhile, in Madrid and Barcelona my efforts are linked to higher official studies on BA and Master’s Degree programmes, respectively. But I also travel regularly to Valencia, where I give piano classes in my personal studio located in the Musikeon headquarters, where I also hold the “Diego Ghymers” Artistic Research Seminars. If you wish, you can also attend some of the activities I carry out at institutions in several countries, information on which is available through social networks.